During your semi-annual dental visits. We offer the ultimate preventative care and advice necessary to help you maintain a healthy smile for a lifetime. Why visit the dentist twice per year? Your dentist can check for problems that you may not see or feel. Your dentist can find early signs of decay, which doesn’t usually become visible or cause pain until it reaches more advanced stages. Your dentist can detect and treat any other oral health problems found before they become more difficult to manage. An initial oral exam by the dental hygienist — The hygienist will document any changes in your overall health and medicine use. He or she will talk to you about caring for your teeth and gums and answer any questions you may have about your oral health. An oral exam by the dentist — The dentist will check for signs of oral cancer or other diseases. He will also check your gums and teeth, diagnose any oral health problems, and make treatment recommendations. Teeth Cleaning — Although consistent brushing and flossing at home can remove plaque, only a dentist or dental hygienist can thoroughly remove tartar (hardened plaque) buildup. Your teeth will be cleaned above and below the gum line during a professional teeth cleaning. Polishing — After your teeth have been cleaned, they are polished to remove stains on the tooth surface. The polish contains fluoride and an abrasive substance that is applied using a small rotating rubber cup or brush. Prevention — Your hygienist may offer additional cleaning instructions for you to follow at home. Don’t hesitate to ask questions about brushing, flossing, or general care for your teeth and gums. X-rays — X-rays may or may not be taken during your check up. Dr. Hawary will consider your clinical examination, dental history, and risk for developing cavities to determine how frequently X-rays should be taken. Treatment recommendations — Based on your examination, Dr. Hawary may refer you to another oral health care specialist, ask you to undergo additional diagnostic tests, or advise you to return for restoration work or additional treatment. Preventative dental care services that we provide in our office include diagnostic dental examinations and necessary digital radiographs as well as hygiene services such as routine dental cleanings and fluoride treatments. We recommend that children have dental sealants placed on permanent molars as soon as they erupt. Sealant material is applied onto the chewing surface of the tooth and hardened with a special light. This smooth plastic barrier makes teeth easier to keep clean and helps prevent decay-causing bacteria from penetrating through deep pits and grooves in the tooth chewing surface. First, the dentist will numb the tooth and then remove the decayed area. Once the decay has been removed, the dentist will prepare the space for the filling by cleaning the cavity of bacteria and debris. After the filling is placed in the cavity, it is finished and polished. For tooth-colored fillings, the material is applied in layers. Next, a special light that “cures” or hardens each layer is applied. When the multilayering process is completed, the dentist will shape the composite material to the desired result, trim off any excess material, and polish the final restoration. Teeth can be filled with gold; porcelain; silver amalgam; or tooth-colored, plastic, and glass materials called composite resin fillings. 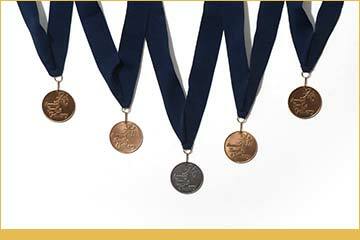 Aesthetics: some patients find gold more pleasing to the eye than silver amalgam fillings. 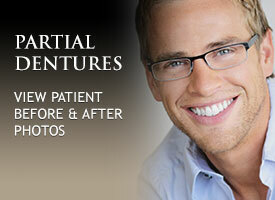 Aesthetics: most patients dislike metal “colored” fillings and prefer fillings that match the rest of the tooth. Dental amalgam “silver filling” is a self-hardening mixture of silver-tin-copper alloy powder and liquid mercury-a highly toxic heavy metal. Thus, the controversy over the safety of silver amalgam continues. They expand and contract with heat and cold, which can eventually cause the filling to fracture your tooth. They will eventually corrode and leak, which can cause new decay to develop under the filling. The leakage can also give a gray appearance to the entire tooth. Concerns regarding possible mercury toxicity. Because metal can conduct hot and cold temperatures, there may be a temporary sensitivity to hot and cold. Thanks to the development of new, stronger tooth-colored restorative materials, silver amalgam fillings are not often the best choice for long term dental health, functionality and appearance. 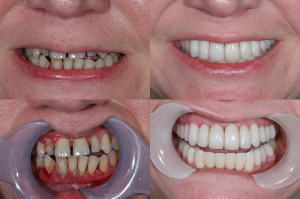 New materials-namely, composite resins and porcelain-together with advanced laboratory techniques, allow us to avoid all of these problems and produce durable, natural looking results. Wear with the natural tooth structure. Cuspal coverage with resin composite is contraindicated. 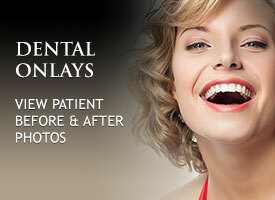 It is a treatment that involves saving a tooth that is badly decayed or becomes infected. During a root canal procedure, the infected pulp tissue is removed and the inside of the tooth is cleaned and sealed. 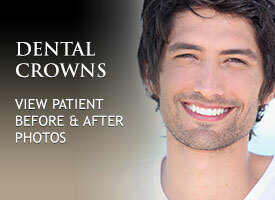 A root canal treated tooth may require a crown build up or a post and core. Dr. Hawary and his staff offer the ultimate preventative care and advice necessary to help you develop and maintain optimum dental health for a lifetime. Your regular semi-annual dental visit will include oral and dental examination, professional cleaning to remove hardened plaque build -up followed by polishing your teeth to remove stains.The dental hygienistmay offer additional cleaning instructions for you to follow at home. This refers to procedures done to treat gum and periodontal disease.Gum disease is the inflammation of the gums, which if left untreated will progress to Periodontal disease ( bacterial infections that lead to bone loss and/or loss of teeth).These procedures may include deep cleanings, oral hygiene instructions, applying topical bacterial specific antibiotics; sub gingival irrigation and re-evaluation.Our team periodontist follows up patients with active periodontal disease to monitor progress/improvement. A surgical approach may be indicated in those patients, where non- surgical procedures would not help improve the periodontal condition. 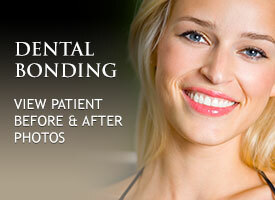 This involves gum lifting and crown lengthening to establish harmony and balance as part of a smile makeover. This refers to the care of children’s teeth. Dr Hawary is mainly concerned with prevention of oral and dental diseases among children, which includes instruction in proper diet, use of fluoride and dental sealants, and practice of oral hygiene. 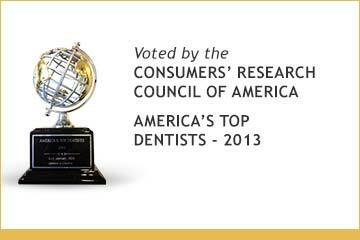 The healthiest smiles are achieved when patients partner with a qualified and caring dentist. 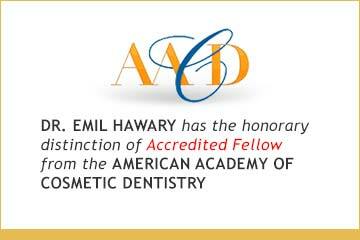 To schedule your dental appointment at Art of Dentistry Institute, please call 949-955-3366 today.